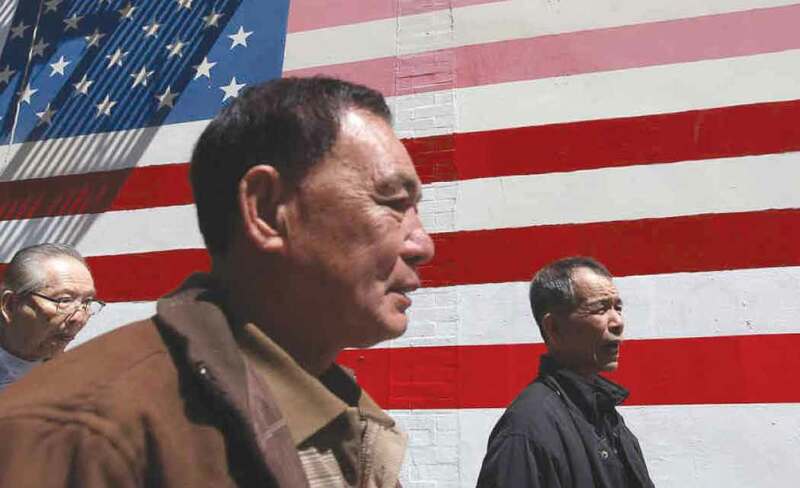 WASHINGTON — In a major shift in immigration patterns over the next 50 years, Asians will have surged past Hispanics to become the largest group of immigrants heading to the United States, according to estimates in a new study of immigration patterns. Today, immigrants make up 14 percent of the population, an increase from five percent in 1965. The actual change is expected to come in 2055, when Asians will become the largest immigrant group at 36 percent, compared with Hispanics at 34 percent. White immigrants to America, 80 percent back in 1965, will hover somewhere between 18 and 20 percent with black immigrants in the eight percent to nine percent range, the study said. Currently, 47 percent of immigrants living in the United States are Hispanic, but by 2065 that number will have dropped to 31 percent. Asians currently make up 26 percent of the immigrant population but in 50 years that percentage is expected to increase to 38 percent. Pew researchers analyzed a combination of Census Bureau information and its own data to develop its projections. Part of the reason for the shift is that the fertility rate of women in Latin America and especially Mexico has decreased, said Mark Hugo Lopez, Pew’s director of Hispanic research. In Mexico, Lopez said, women are now having around two children, when back in the 1960s and 1970s, they were having about seven children per woman. Despite the increase in Asian immigrants, Hispanics will still make up a larger number inside the United States, Lopez said. By 2065, no racial or ethnic group will hold a majority in the United States, with whites holding 46 percent of the population, Hispanics at 24 percent, Asians at 14 percent and blacks at 13 percent. Currently, the country is 62 percent white, 18 percent Hispanic, 12 percent black and six percent Asian.